Children enjoyed an Aladdin's Magic Carpet Trail, culminating in a trip to Santa’s Grotto at Grays Shopping Centre and the chance to meet Father Christmas himself. Mayor of Thurrock, Cllr Barbara Rice, who joined the cast of Aladdin – this year's pantomime at Thameside Theatre – for the switch-on, said: "This is always an incredibly special event and it was wonderful to see so much festive spirit in the air. "The entertainment was excellent, the town centre looked superb and it was a real honour to be asked to switch on the Christmas lights. "I wish all of our residents a merry Christmas and a happy and healthy New Year." 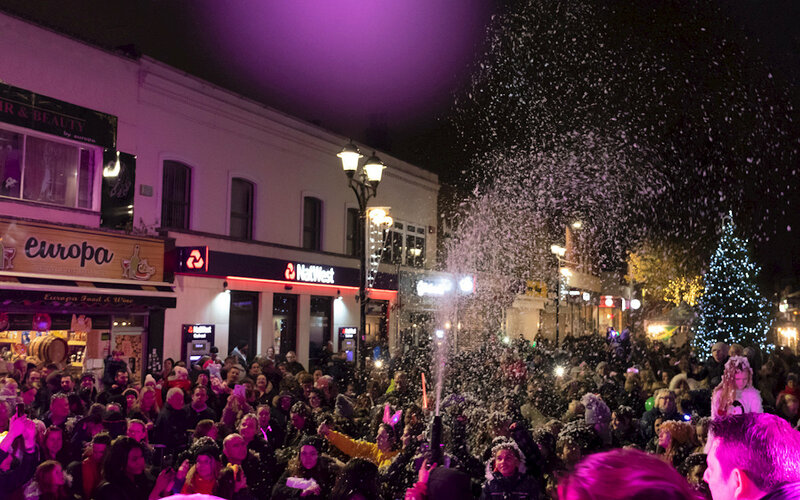 Cllr Deborah Huelin, portfolio holder for communities, said: "The Christmas lights switch-on is always a fantastic day for the whole family and a great way to mark the arrival of the festive season. "It is also another example of the excellent attractions and events we have in the borough, and I would encourage both residents and visitors to get out and discover Thurrock this winter."